The PCIe-2602 3G/HD/SD-SDI video/audio capture card, based on the PCI Express x4 interface, provides unparalleled features, enabling acquisition of 2 channels 3G-SDI for low latency, and uncompressed video data signals up to 1920x1080P/60fps (frames per second), and high accuracy color format support 4:4:4. The PCIe-2602, featuring 3G signal capture ability and support for highly accurate color formatting, is ideal for frame grab function in a wide variety of applications, including medical imaging and intelligent video surveillance or analytics. 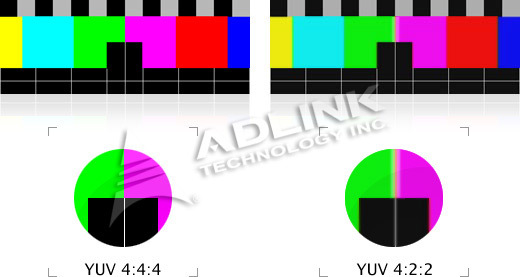 Thanks to 3G-SDI signal capability, ADLINK's PCIe-2602 supports high accuracy color format, such as 12 bit 4:4:4 1080i/60fps or 10 bit 4:2:2 1080P/60fps, and when combined with a suitable 75£[ coaxial cable, 3G-SDI signals can be transmitted over 100 m, all with no need for changes to existing cabling, representing significant savings in construction costs. The PCIe-2602 is equipped with RS-485 and digital input & output, accommodating external devices such as PTZ cameras and sensors, supports Windows 7/XP operating systems, and ADLINK's included ViewCreator Pro? utility enables setup, configuration, testing, and system debugging without requiring any software programming. All ADLINK's drivers ate compatible with Microsoft DirectShow, reducing engineering efforts and accelerating time to market. 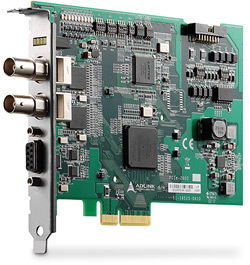 ADLINK's PCIe-2602 supports all SD/HD/3G-SDI signals, and operates at 6 times the resolution of regular VGA connections. PCIe-2602 also provides unrivaled video quality with lossless full color YUV 4:4:4 images, for sharper and cleaner images. With up to 12-bit pixel depth, the PCIe-2602's extreme image clarity and smoother transitions from color to color boost image detail for unprecedented support of high-end critical medical imaging, such as PACS (picture archiving and communication system) endoscopy, as well as broadcasting. Why do you need SDI? The PCIe-2602 features low latency uncompressed video streaming, CPU offloading, and support for high quality live viewing for video analytics acquiring real-time image acquisition, as required in, for example, casino and defense environments. When combined with a suitable 75£[ coaxial cable, PCIe-2602 signals can be transmitted over 100 m, requiring no significant modification of existing analog-based CCTV systems, with employment of existing coaxial cable networks representing significant savings.